After a day of boat work Jonboy and I took the crew of the “Pesca Grossa” and the “Tight Line” out for an evening fun fish. As soon as we put the lures out we saw a couple big eye’s busting bait on the surface. We made one pass around them and we hooked up . 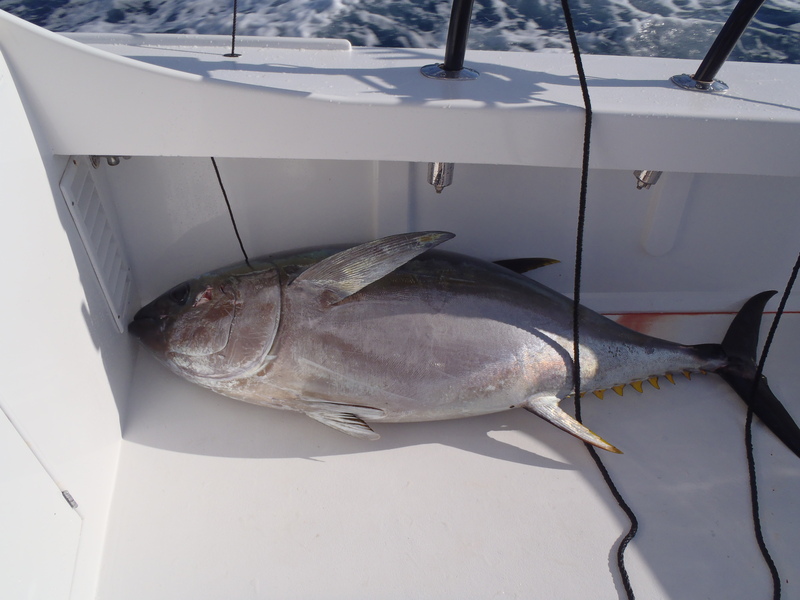 Nicola was up in the chair and after a 25 min fight we had a 225# big eye tuna in the boat.There were still a few crashing bait around us but we couldn’t find another bite. 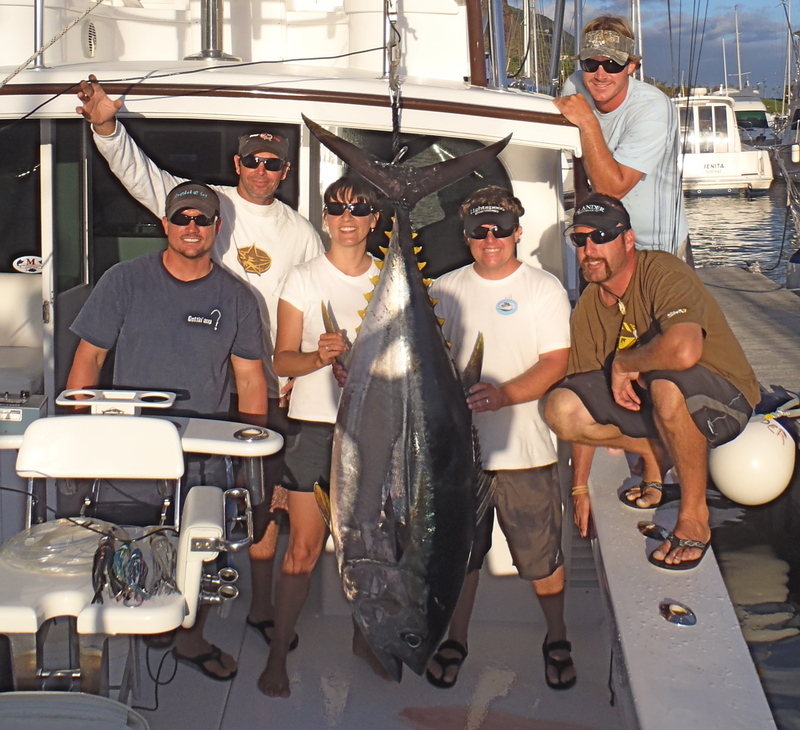 A great evening on the water and the big tuna was just a bonus. We might have to head out for another evening fish tommorow.